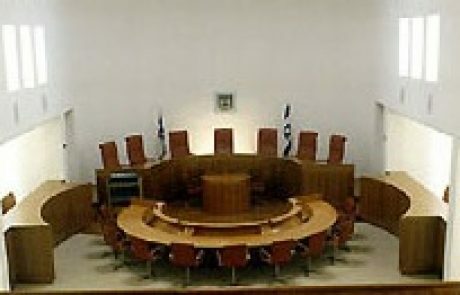 A delegation of the RCP met with U.S. 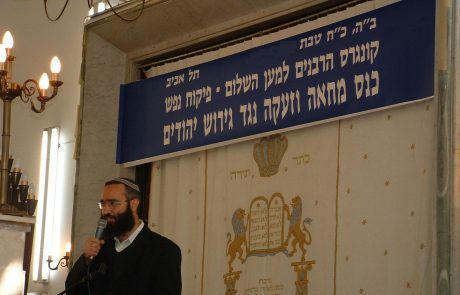 Ambassador to Israel, Daniel Shapiro. 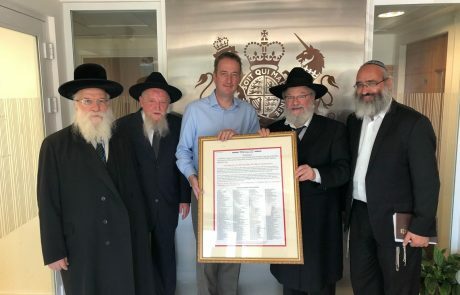 From right to left: Rabbi Gideon Perl, Rav of Alon Shvut, Rabbi Moshe Havlin, Chief Rabbi of Kiryat Gat, Rabbi Avrohom Shmuel Lewin, General Secretary of RCP, Ambassador Daniel Shapiro, Rabbi Joseph Gerlitzky, Chairman of the RCP and Rabbi Sholom Gold, Rabbi of Har Nof. 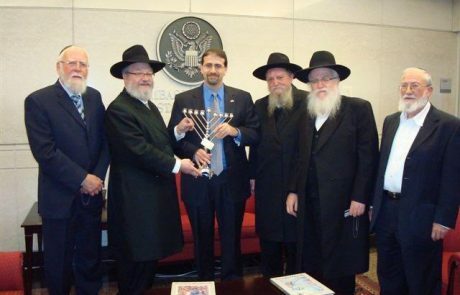 Left to right: Rabbi Sholom Gold, Mr. Marc Sievers of the US Embassy, Rabbi Dov Lior, Rabbi Joseph Gerlitzky, Ambassador James Cunningham, Rabbi Moshe Havlin, Rabbi Avrohom S. Lewin. 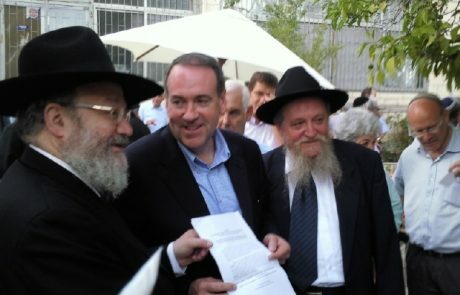 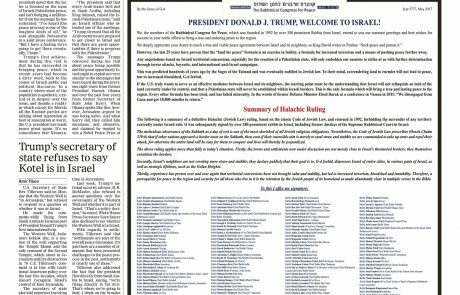 The Rabbis handed the ambassador a Halachic Ruling signed by over 350 rabbis in Israel that forbids giving up land controlled by Israel today because it it leads to bloodshed and pushes peace further away. 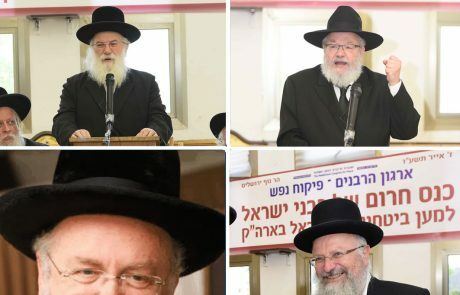 Israeli Rabbis: “The security situation must undergo a radical change”.